Heywire winner Ivan Reyes says dancing is for everyone. 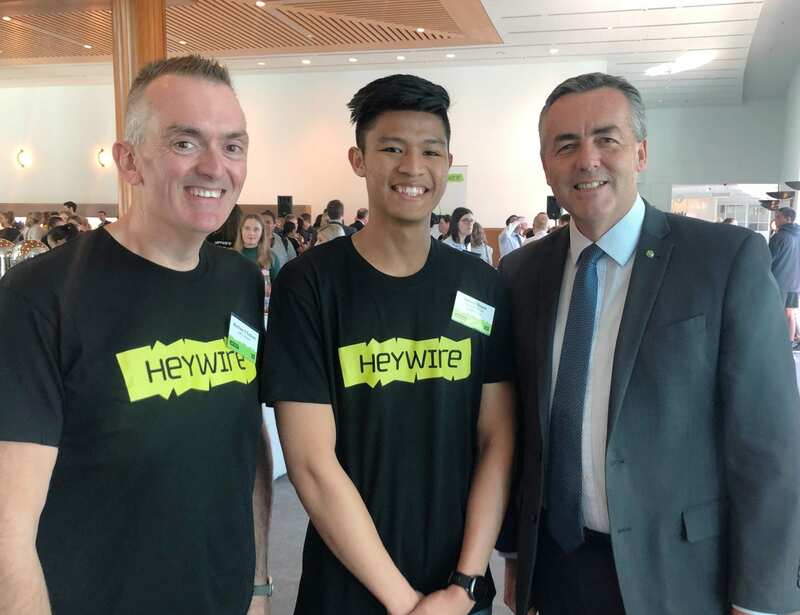 Ivan (middle) is pictured with ABC representative Matthew O’Sullivan and Federal Member for Gippsland Darren Chester at the Heywire Regional Youth Summit in Canberra. Stratford teenager Ivan Reyes has been announced a winner of the National ABC Heywire storytelling competition. The Heywire story competition provides a platform for young people in regional areas to share their views and experiences. Federal Member for Gippsland Darren Chester was able to personally congratulate Ivan and hear more about his life in Gippsland at the Heywire Regional Youth Summit in Canberra this week. “The youth summit provided a unique opportunity for young people from regional areas across Australia to meet each other and share their personal experiences,” Mr Chester said. “It is important for politicians and community leaders to hear directly from the next generation about the issues that affect them and their friends and how they perceive their local towns. Heywire is an initiative of the ABC in partnership with the Federal Government, and provides a platform for the ideas, aspirations and stories of regional youth. Since 1998, more than 10,000 young people have shared their stories about what life is like in regional and rural Australia. This year 52 young people have been chosen from all over regional Australia to share their stories and experiences with the nation. Ivan’s story covered his passion for dancing, which started when he was four years old and attended a local festival with his mother. He says many people say they can’t dance, but they can. “I want everyone to know they can do it. Dancing is about having fun, expressing yourself and inspiring others. You’re creating art together,” Ivan said.